Hair transplantation is a surgical technique used make a person appear to have a fuller head of hair. The technique moves the hair follicles individually from one area on the body (also known as a donor site) and places them on the balding part of the body. 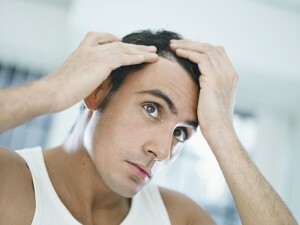 The most common use for hair transplants is to treat the condition known as male pattern baldness. Hair follicles that are captured in grafts are transplanted to the balding area. Hair transplants are also used to fill in missing hair around a person’s eyebrows, pubic hair, beard and scar areas where hair would normally grow. The cost of hair transplant procedures vary greatly based on a number of factors. The cost depends on the amount of hair to be transplanted and the scope of the surgery. The qualifications of the surgeon may also influence the cost. If the clinic is located in a higher-class area it may also cost more. The cost generally ranges from $5,000 to $15,000. Hair transplant procedures are rarely covered by insurance. At the first consultation the surgeon will discuss with the patient what the expectations are and examine the scalp. It may require multiple hair transplant sessions in order to get the expected results. The patient must refrain from taking any medications for several days before the surgery to prevent inoperative bleeding and poor take of the grafts. Alcohol and smoking are also discouraged. The surgery is usually performed as an out-patient surgery. It involves local anesthesia and a sedative. The surgery typically lasts six hours. In the common follicular unit procedure the doctor will harvest a strip of skin from the posterior scalp. The wound will then be closed and the assistants will get the follicular grafts from the sample taken. Fibrous and fatty tissues are carefully removed from the follicular cell. The surgeon uses very small blades or fine needles on the sites that will receive the grafts. The surgeon will place the grafts in a pattern to create a normal looking hair growth. Hair naturally grows in follicles that contain four hairs, so many modern techniques place these units how they would appear naturally in a grouping. As with any medical procedure there are risks involved. Hair thinning can occur shortly after surgery, but this is temporary. People may also experience bald patches or a great number of hairs falling out. Many patients also experience slight swelling of the scalp, but this is usually minor. Medications are available to help ease the swelling. The scalp may also seem itchy, but scratching will make it worse. Moisturizers and massage shampoos approved by the doctor may help to alleviate the itchiness. After surgery the patient will wear a dressing which allows for the excess blood to seep out. This dressing requires changing at least every day, if not otherwise instructed by your doctor. The scalp must be shielded from ultra-violet light and harmful rays from the sun. Shampooing is an advised way to care for the scalp and should begin two days after the surgery. It will help prevent scabs from occurring by the newly placed hair follicles. During the first ten days after surgery almost all of the transplanted hair will fall out. This is often referred to as “shock loss”. After two months new hair will begin to grow from the transplanted follicles. The patient’s hair will thicken over the next few months. It is important to follow the doctor’s instructions about how to care for the surgical site in order to prevent infection or regression. Some people may experience inflammation or infection of the new hair follicles. This infection can be relieved through the use of antibiotics.